As we head into the heart of the winter season here on campus, I wanted to wish everyone a happy and healthy 2019. I hope the holiday season brought you joyful time with family and friends. 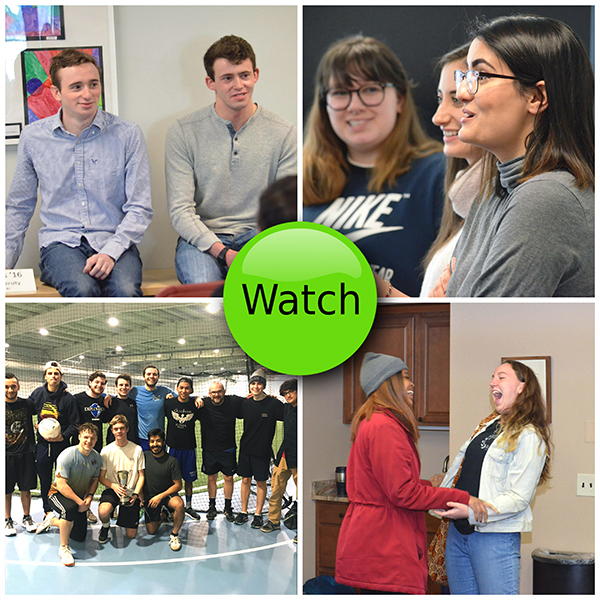 Our faculty, staff, and students have picked up right where they left off and have been hard at work since returning to Bancroft on the 2nd. The cold temperatures have not stopped our talented students from getting outside the classroom to pursue their learning. 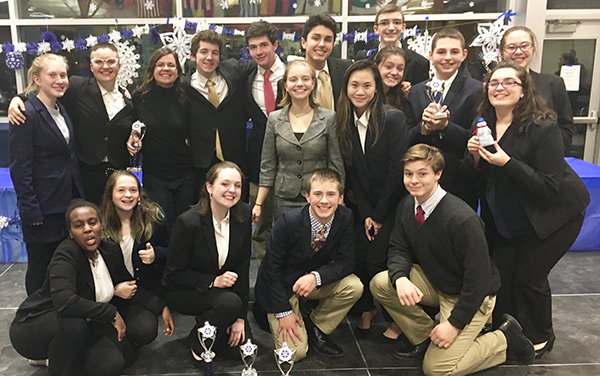 Just this past weekend, the Bancroft Speech Team went to compete in the Newton South Speech & Debate tournament. They came home with 7 awards and an 8th place overall finish out of 35 teams. 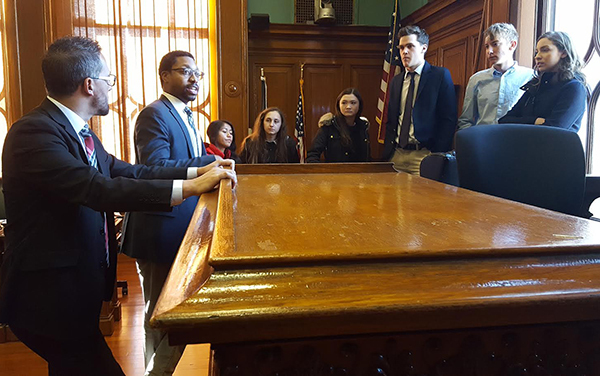 We also had members of One City: Multiple Lenses stop by City Hall last week to discuss issues of economic development, civic engagement, and neighborhood relations with city officials. I am always impressed at the ability of our faculty to create well-rounded learning opportunities by collaborating. 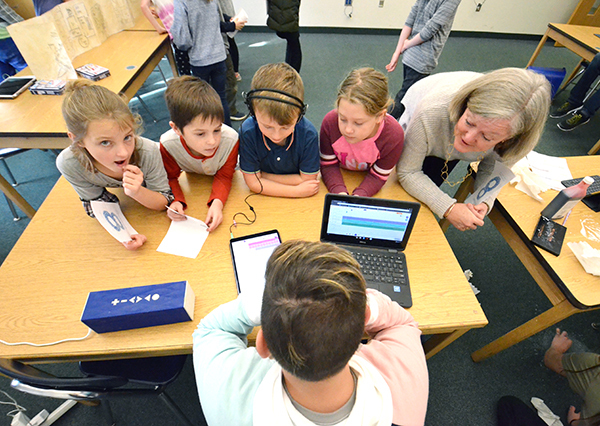 As you'll read below, our third graders recently worked on a project that combined research, music, and multimedia through three different classrooms to produce excellent finished products. By expanding their classroom walls, our teachers allow curriculum to take shape and our students to experience more. As a reminder, we hope you will join us on February 9 for the Community Design Day when we expect to work with you in building a strategic plan for the years ahead. Details will be available in the coming days, but please refer to our Strategic Thinking web page for more information. We also hope you will join us on Facebook, Instagram, and Twitter platforms to stay updated on the great things our community is doing daily. One of the great things about being a Bancroft graduate is that you're always welcome to come back to campus to reconnect with friends and reminisce with former teachers. 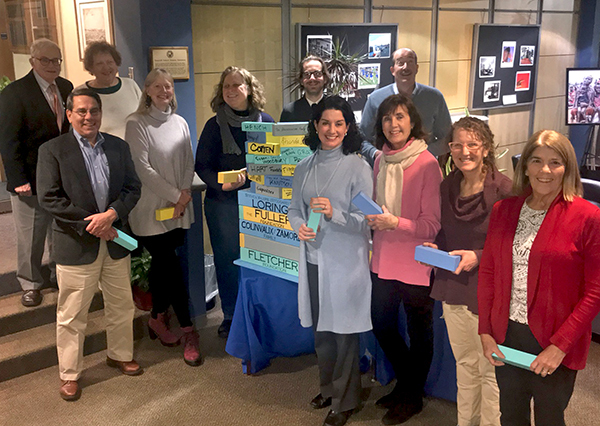 Each year the Alumni Office kicks off the new year with a Young Alumni Day, inviting recent graduates on college break to do just that. Throughout the day alumni could be seen around campus visiting and catching-up—some joined a college panel during a special lunch for Seniors and answered questions about transitioning from high school. The day ended with the Alumni World Cup Soccer exhibition which brought spectators and players from classes 2011-2018 joining in the fun with teacher Mark Taylor. Since 2009 Mr. Taylor has held a World Cup Tournament for Upper School students and now, together with the Alumni Office, is excited to create this new tradition with alumni. Click the green watch button above to see video. Over a period of two months, Megan Jackel's third grade students have been diligently working on a research project in the Learning Lab Method (LLM) focusing on all the states that make up the USA. Following their study, students, alone or in pairs, selected their favorite state and began fact-finding. "The goal of the project was to build their research skills and it was their first time taking notes. They learned all about an index and table of contents," said Jackel. 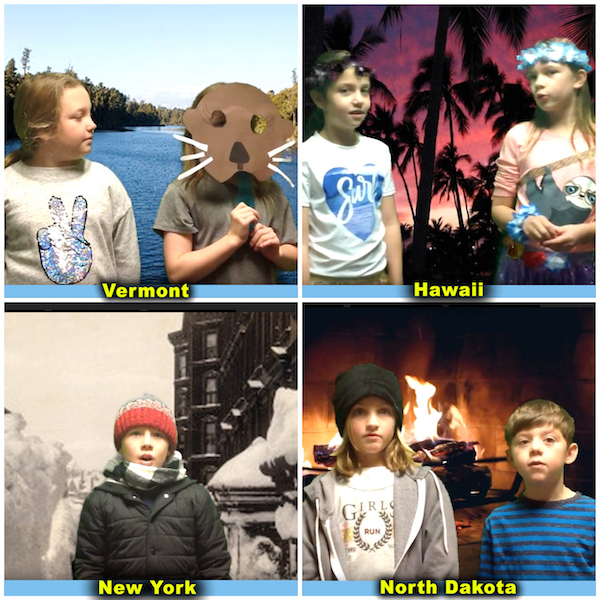 Once each group identified three distinct state characteristics to explain why anyone would want to visit their respective state, they began working with LS technology teacher Kevin Briggs to produce their very own commercial! That's not all. Each commercial came with its very own catchy jingle that the students composed and recorded with the help of LS music teacher Beth Gondek using the program Garage Band. The students also created unique posters featuring the state's flag and motto which were on display in the McDonough building during the December 14th showcase. "They did an impressive job and took a lot of pride in their work," Jackel added. 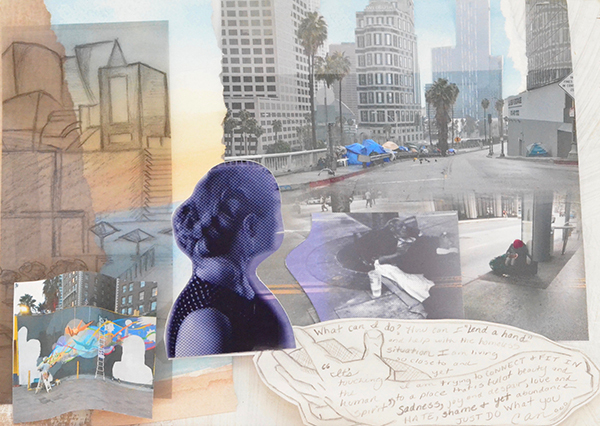 Hawaii by Hanna & Zoe M.
In the summer of 2018, US Visual Arts Teacher and Department Chair, William Chambers, received a Fargo/Gauthier Grant to travel to the South of France to live for a month. 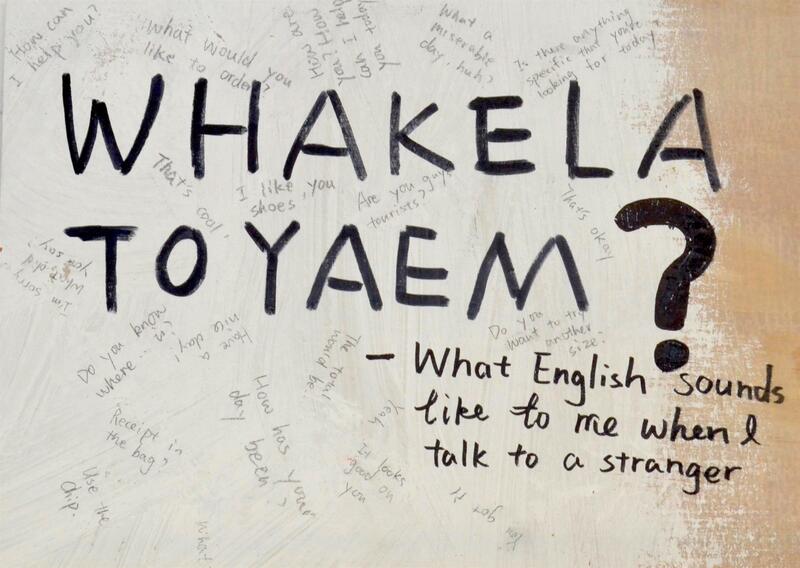 The questions below and the resulting "Dis-comfort" exhibition came out of that experience living in a country where he did not speak the language and was a foreigner by choice. "In thinking about how to share this experience, and pondering a conversation Martha Fortier and I had in the spring about a collaborative participatory work, the idea for this show was born," said Chambers. 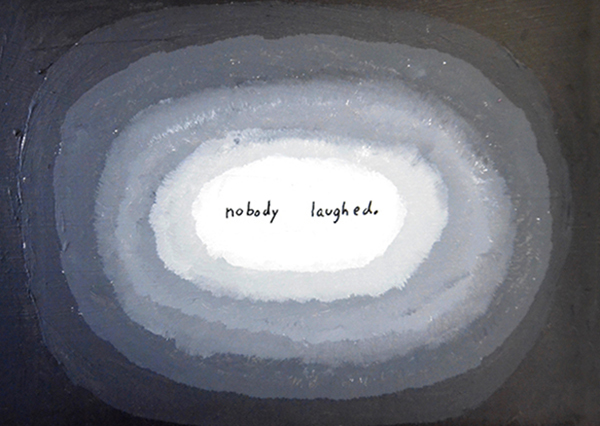 The Upper School art and writing students were invited to respond to the Dis-comfort theme on 9" x 12" wooden panels. 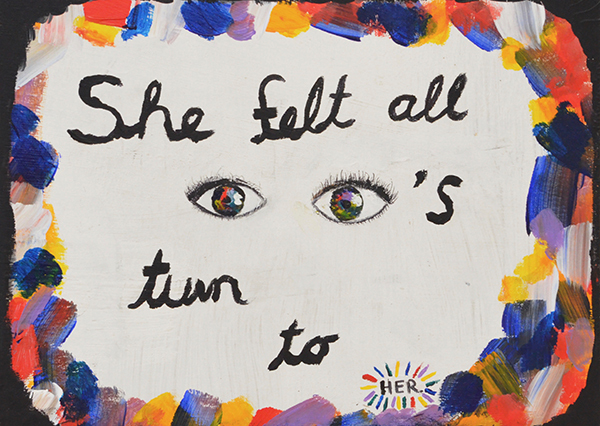 Students were asked to think of an experience in which they were taken out of what was comfortable either by choice or force, and create a strong piece of writing or visual art that captures that experience and possible transformation. Students could use both sides of the board and any combination of writing and visual art. 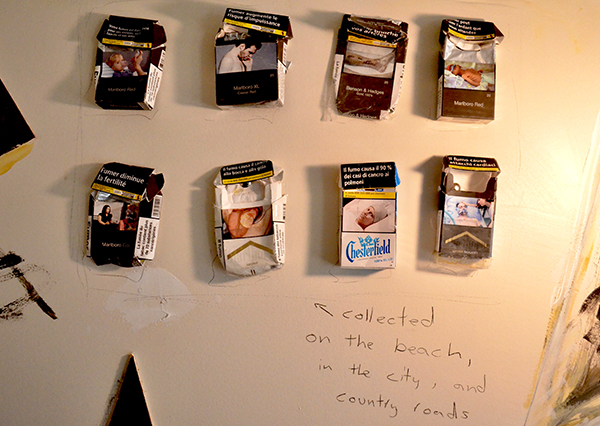 A jury of English and Art teachers selected the strongest pieces. Mr. Chambers encourages visitors to pick up the panels and read the back sides. 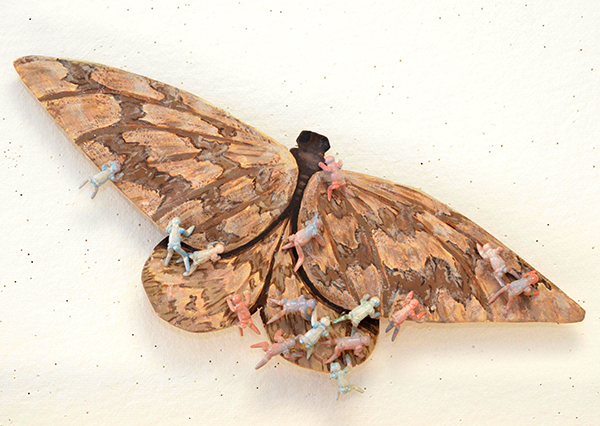 Dis-comfort remains on exhibition until February 1st in the Bancroft Art Gallery. LEARN MORE HERE. 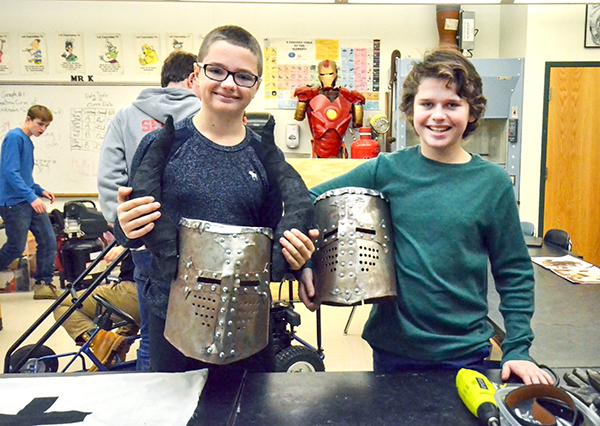 On December 13th, the 8th grade class hosted "Showcase 8", an event displaying their independent projects. 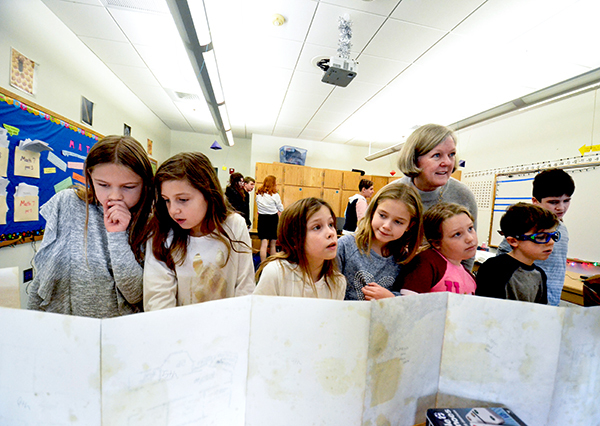 The students have been working hard on various independent projects during their project period – a chunk of time allocated to them once every seven days – and this event was a great opportunity for them to share their results with the Bancroft community! The showcase was designed as a gallery-walk, with students and their exhibitions stationed in locations throughout the McDonough Building. MS and LS teachers and their classes attended and participated in the demonstrations. 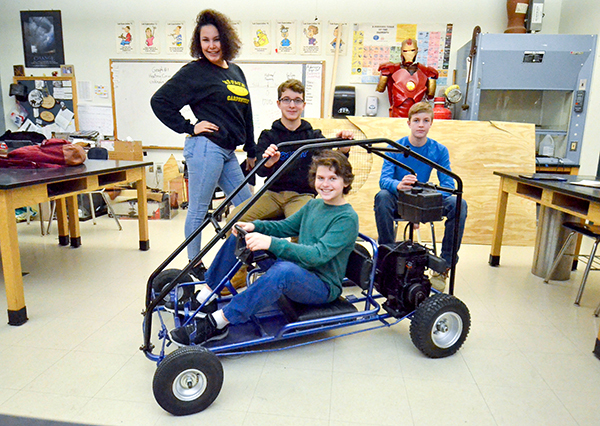 The creative and innovative projects included everything from a go cart creation, independently built computers, a fish tank, original children's book to a special effects and makeup presentation and demo, among several other fascinating projects! 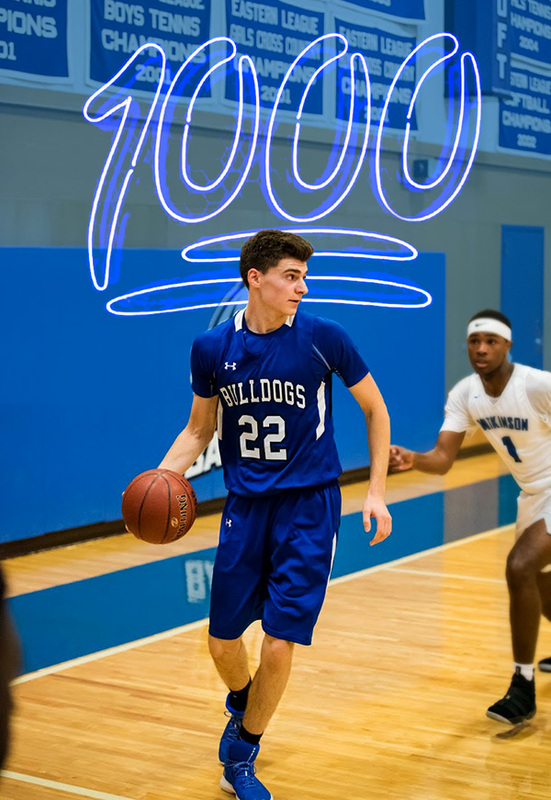 On Monday, January 7th, senior co-captain Carlo Mannina hit his 1,000th career point in a game at Newman School. A two-year captain and four-year member of the Varsity basketball team, Carlo is currently averaging 20.4 points per game, 11.7 rebounds per game, 3.1 assists, and 2.9 blocks per game in his senior campaign. Also a co-captain of the Bancroft Varsity soccer and baseball teams, Carlo becomes the 11th member of the Bancroft 1000 Point Club. He was recognized for his achievement on Monday, January 14th in the Blake Gymnasium before tipoff of the varsity game. Congratulations, Carlo! Follow @SportsBancroft on Twitter for the latest news and updates on Bulldog Athletics. 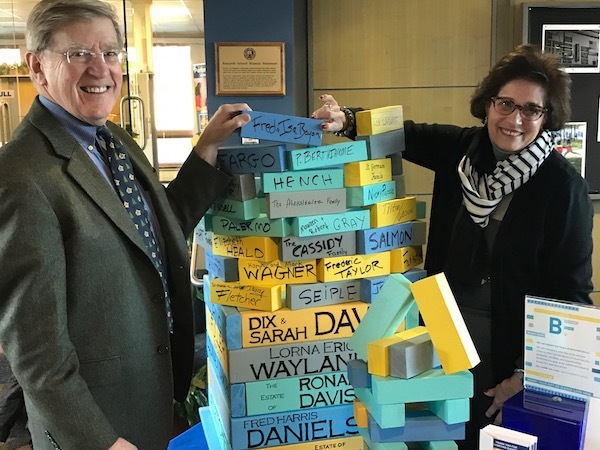 Isa and Fred Bayon place their block on the tower in the main lobby. Isa taught Spanish at Bancroft for 21 years. 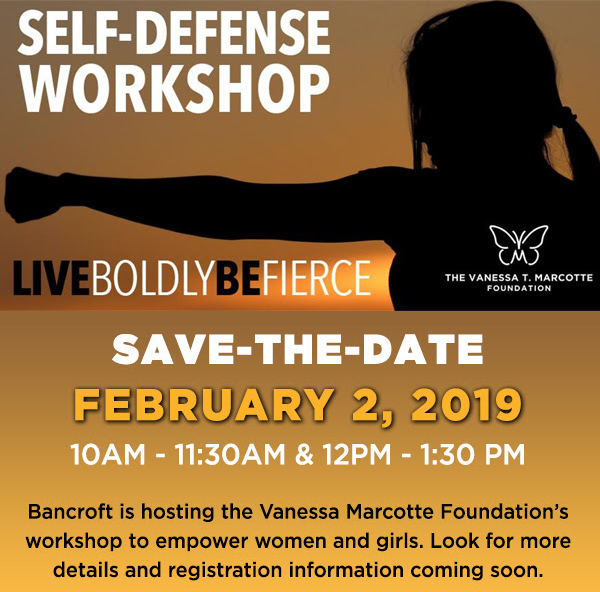 We invite you to make a Bancroft Fund commitment first. and programs, right here, right now. 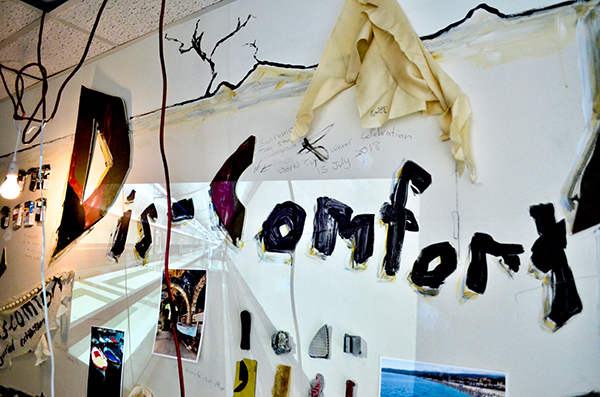 DEC. 3 - FEB 1: Dis-comfort Art Exhibition. JAN 21: Martin Luther King Day – Campus Closed. JAN 23: State of the School – 6:30 PM - 7:30 PM. Field House, Community Room. 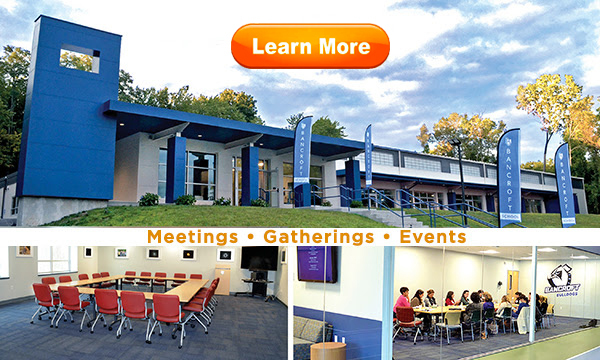 JAN 24: MS Open House - 9AM - 12:30 PM, LS Open House - 2PM - 4PM, US Information Session - 6:30PM - 7:30PM. FEB 4: Professional Development Day: No classes all divisions. FEB 9: Community Design Day - Invitation to follow. FEB 15 - 18: Mid-Winter Break- Campus Closed. Classes resume on Feb. 19. Shorelines is produced by the Marketing and Communications Office at Bancroft. If you have questions or story ideas please contact kcinquanta@bancroftschool.org.